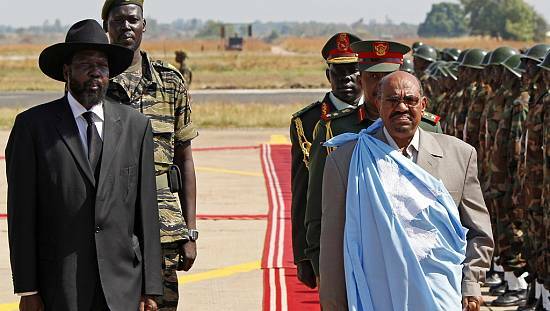 East African leaders assembled on Thursday in Ethiopia to push for peace in South Sudan, but despite a long-awaited face-to-face meeting between the country’s two warring heavyweights, reconciliation remained elusive. In statements ahead of the meeting held by the regional bloc, the Intergovernmental Authority on Development (IGAD), the Sudan People’s Liberation Movement-in-Opposition (SPLM-IO) rebel group, led by Riek Machar, called the current peace efforts “unrealistic” and warned South Sudan government forces were planning an attack on their troops in the country’s south. 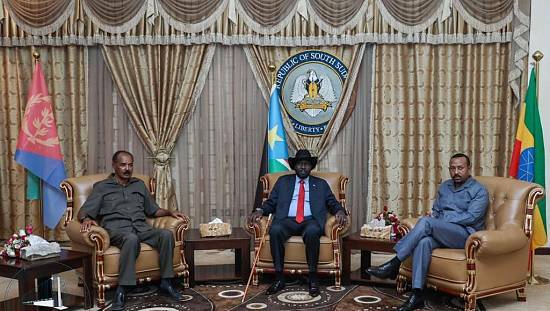 “For any meaningful dialogue to take place, it should be within the context of a comprehensive political settlement, so that the guns can fall silent and a conducive environment for dialogue established,” SPLM-IO said. Each second and minute that passes with the business as usual is a missed opportunity to save lives. 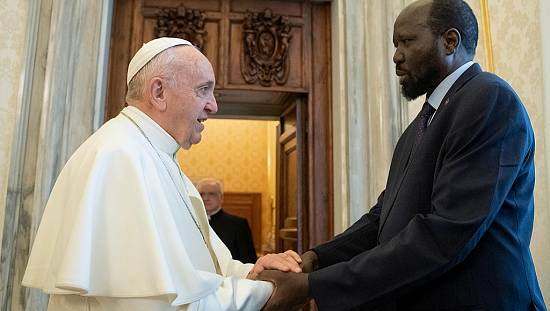 The statements dampened hopes of a breakthrough after South Sudan’s president Salva Kiir and Machar, his former deputy, held their first meeting in nearly two years the day before. What was discussed in the encounter brokered by Ethiopia’s prime minister Abiy Ahmed has been kept under wraps, but video footage shows Abiy sandwiched between the two towering South Sudanese after cajoling them into an awkward three-way hug. As he greeted officials at the start of Thursday’s IGAD meeting, Machar shared a lengthy handshake with Kiir. Kiir, Machar and other opposition figures were encouraged to reconcile for the sake of peace at the opening of the talks attended by the presidents of Kenya, Somalia and Sudan. In a statement released after the meeting’s start, Kenya’s president Uhuru Kenyatta warned of sanctions if Thursday’s dialogue proved as fruitless as previous rounds of IGAD-led talks. “Over time our efforts have been eclipsed by the use of violence, giving credence to the call for punitive measures against perpetrators,” Kenyatta said. The meeting ended on Thursday evening and IGAD plans to issue a statement on Friday. The last meeting between Kiir and Machar immediately preceded the outbreak of deadly fighting in the South Sudanese capital Juba in July 2016. Defeated, Machar fled into exile in South Africa where he was placed under de-facto house arrest. The two men are central to the civil war in the world’s youngest country, which has killed tens of thousands and driven a third of the country’s 12 million people from their homes. Kiir’s December 2013 accusation that Machar was plotting a coup signalled the start of the war. A 2015 agreement eventually brought Machar back to Juba, only for deadly violence to break out soon after. 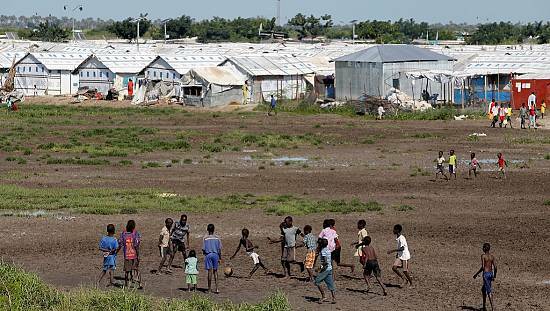 “Thousands of South Sudanese have been killed and hundreds of thousands more have been displaced from their homes,” African Union (AU) chairman Moussa Faki Mahamat said at the IGAD summit’s opening. Analysts warn that Kiir and Machar’s notoriously volatile relationship and entrenched positions casts doubt on the likelihood of success of any reconciliation between them. It is also unclear whether either man has the ability to halt a war that has metastasised, splintered and spread over the past four years. The meeting in Addis Ababa comes against a background of growing international frustration. 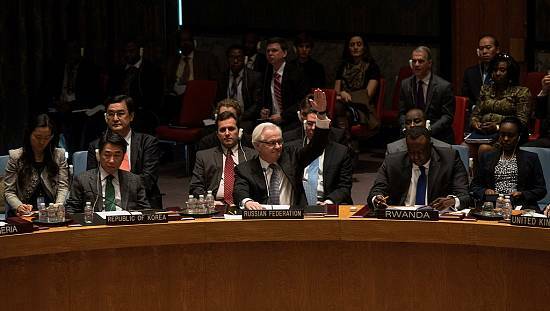 In May, the UN Security Council gave the two warring sides a month to reach a peace deal or face sanctions.